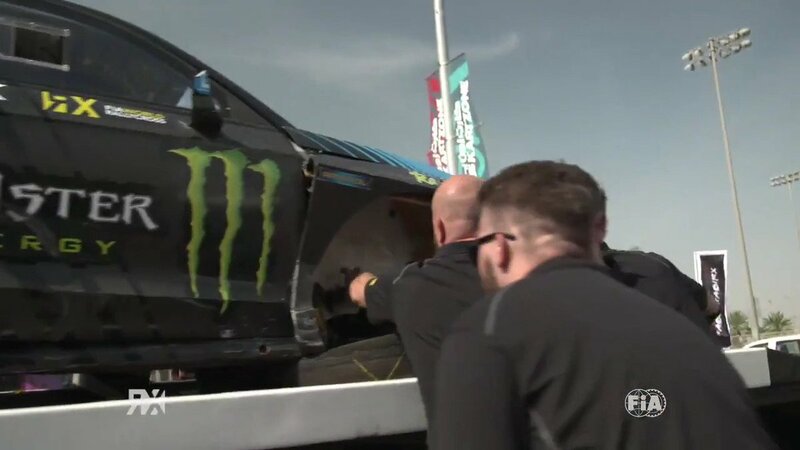 The FIA World Rallycross Championship presented by Monster Energy travels to the Norwegian town of Hell this weekend (9-11 June) for round five of the World Championship: Team Verksted World RX of Norway. The event will take place at the Lankebanen circuit which, at 63 degrees north, is the most northern track in the 12-round World RX calendar. Out of the 55 Supercars competing in Norway, 22 will race in the World Championship while the remaining 33 will compete for points in the second round of the FIA European Rallycross Championship (Euro RX). Fourteen TouringCar entries and 19 RX2 entries will also compete at Hell RX. After four rounds, PSRX Volkswagen Sweden’s Johan Kristoffersson tops the standings – four points ahead of reigning World RX Champion, Mattias Ekstrom, who drives for EKS. Third in the standings is double World RX Champion Petter Solberg but the pressure will be on last year’s Hell RX winner Andreas Bakkerud to replicate hi 2016 performance where the Norwegian took the first ever clean sweep in World RX history after winning all four qualifying heats, his semi-final and the final. Joining the 18 permanent World RX drivers, which includes six two-car teams featuring star drivers such as Sebastien Loeb and Ken Block are four additional drivers. Former European Championship podium finisher, Finland's Joni-Pekka Rajala will race the Mitsubishi Mirage he debuted in the German round of World RX at the Estering last season. Three French drivers will also take part: Guerlain Chicherit will continue his development year in a Renault Clio Supercar ahead of racing a new Prodrive-built Megane in World RX next season, while veteran racer Herve Knapick will compete in a Citroen DS3 Supercar. Laurent Bouliou will race an ex-Team Peugeot-Hansen Peugeot 208 Supercar. The second round of the FIA European Rallycross Championship for Supercar will join World RX in Norway, led by round one winner and Championship leader, Anton Marklund. Regular competitors will be joined by Lithuania's Paulius Pleskovas in a Ford Fiesta, former Euro RX TouringCar Champion and Drive For Live CEO Knut Ove Borseth will return to the driving seat in a Ford Focus Supercar.